I don’t know why, but ever since I returned from Europe in August 2017, I seem to have hit a dry patch with regard to my writing and this blog thingy. I have been able to write neither bucolic accounts of my European Peace Walk, nor do research for my Red Branch Chronicles. That’s not to say that I’ve been lazy – far from it. I seem to have been busy all day and everyday, just doing things that need doing and that won’t get done by themselves. There is always something “new” that has to be done in everyday, general living which has completely blotted out my creative world or perhaps, then again, I have voluntarily chosen to neglect it. and those sorts of things on my blog so I have done absolutely nothing. Saying that nothing resonated with what I felt able to write allowed me to stagnate. I’ve barely sat down in front of the computer, let alone attempted to write something about my forays into Christmas cooking so, as Ian Dury intones, I have most certainly not been “a pencil squeezer”! However, today was different. My kitchen clock, permanently stopped at 8:42, since before I went to Europe and the September calendar on the back of the door, were all physical manifestations, I was told, of my sloth, stagnation and inactivity. Half-heartedly defending myself from those (acknowledged) charges, I pointed out the clock is always right twice a day and who needs a paper calendar anyway, when we are all tooled up with smart wearable gadgets? Nevertheless, I put up a new calendar on the back of the kitchen door and threw the recalcitrant clock into the bin (no more K-Mart clocks for me, thank you very much), resolving to buy a proper clock as soon as possible. 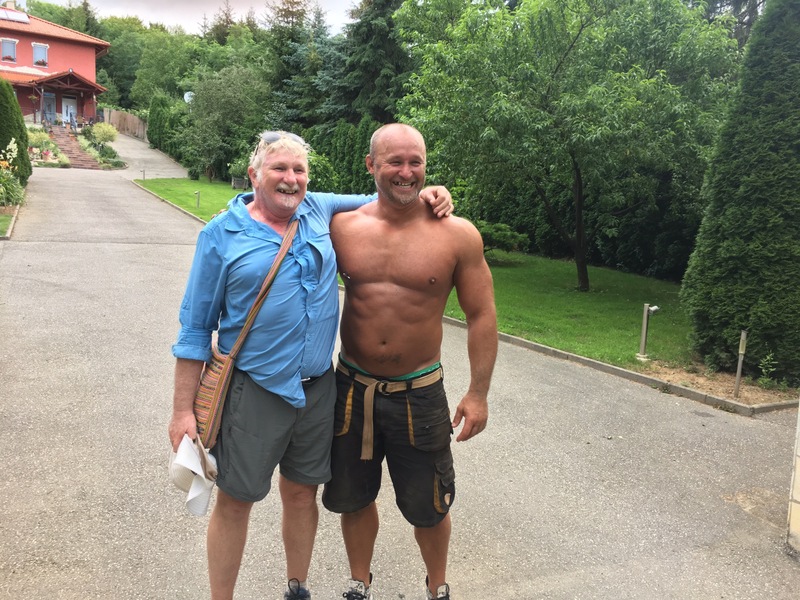 One of the things I looked forward to most during my European Peace Walk through Austria, Hungary, Slovenia, Croatia and Italy was exploring local cuisine, delighting at the newly discovered variety and novelty. The obverse of course is also, unfortunately, true. Ill-prepared, bland tourist fodder or the ubiquitous pizza or kebab, usually on offer in the same low-grade style cafe – sometimes the only thing available in villages along the route of my walk – so I congratulated myself when, after a fairly gruelling walk of 30k plus, I arrived in Postojna in south-western Slovenia and looked forward to a good meal. A lusty male choir in the chilly town square made sitting on the outdoor terrace of Hotel Kras unattractive and there were no seats in the bustling, brightly lit restaurant inside, but the waitress recommended another restaurant a few hundred metres away but, when I arrived, it was another pizza restaurant and it was closed. Hunger began to make the prospect of a kebab seem feasible especially as a light rain started. A policeman mentioned a restaurant in the “red house” on the far side of the square but that too seemed to be closed as there were no lights on. Despairing, I walked around to the car park at the back and there was a lighted staircase leading to a basement restaurant, bright, warm and cheery inside. There was an English menu and the chef’s specialty was braised liver in red wine. No hesitation here, a bottle of red wine – the waiter’s recommendation – and a starter of stuffed wild mushrooms in a nutty sauce and a delicious, rich dish of tender liver slivers, still pink inside. I have distinct – and delicious – childhood memories of liver with creamed spuds and baked beans but since then I seem to have skipped over offal themed meals, although there was that fantastic liver, bacon and onion dish in the Serasa Yacht Club but that was in another lifetime and a different century! Anyway, inspired by my Slovenian meal, here is my take on liver, for what it is worth. 1.Crush the peppercorns and mix with the flour and mustard powder. 2. Heat oil and fry the onion rings for about 10 minutes until brown at the edges. Remove from heat. Some recommend steeping the liver in milk before flash frying. I tried both steeping and non-steeping with no appreciable difference. 3. Quickly fry the liver, sliced finger thick. When spots of blood begins to appear, flip them over. They should still be slightly pink inside. 4. Add to the onion. 5. Stir the flour, pepper, and mustard into pan. Soak up all the juices and then add sherry, followed by the Worcestershire and the lemon juice. Thin with more sherry, if necessary. 6. Season with salt and pepper. Pour over liver and onion. Serve with creamed spuds. Sadly, plating a dish was never my forté but trust me, it tastes better than my photos look! 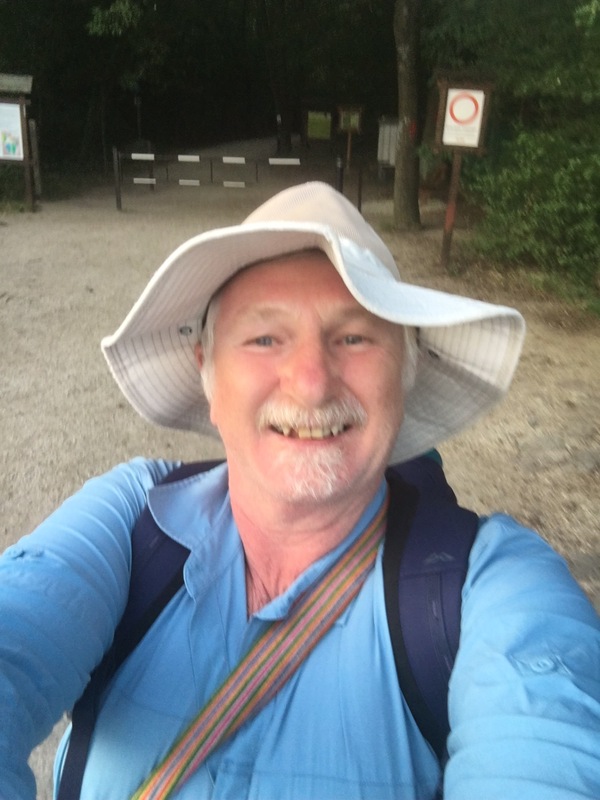 Started this European Peace Walk — this is me on the first day – on Tuesday July 04, from Sopron in Hungary and ending in Trieste in Italy, passing through Austria, Hungary, Slovakia, Croatia, Slovenia and finally Italy. In Croatia now and about half way there but the blisters are mounting. So far, great food, interesting people and cheap beer. On the down side, I am sick of trudging through muddy, ploughed up corn and wheat fields and getting lost in dark forests where I am a main course for voracious insects and fair game for stinging nettles! 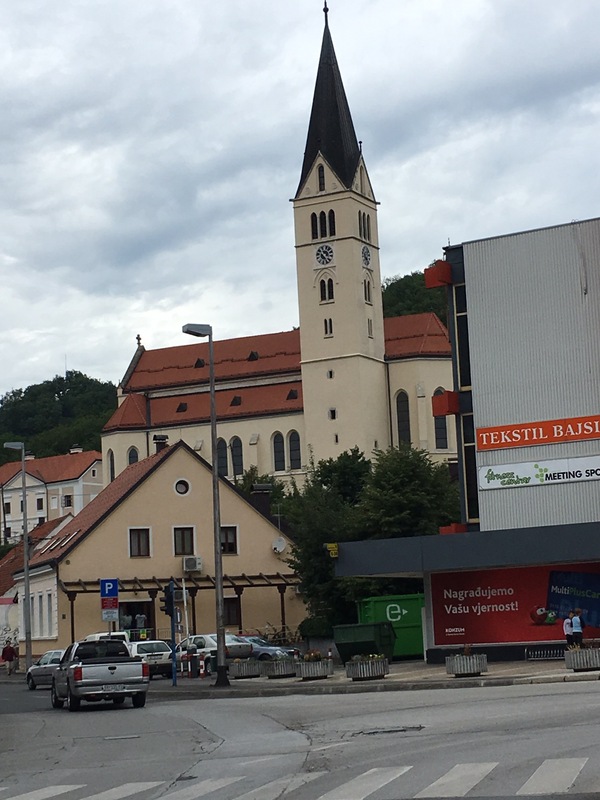 In Krapina, Croatia, letting the blisters heal. Seems like a fantastic little kip – loads of bars and cafes and there is even a museaum devoted to Neantherthal Man!